There’s a lot to love about Moreton Island. From its vast swathes of stunningly white 4WD-friendly beaches to its pristine waters abundant in marine life, this island has something for everyone. Best of all, it’s located just 40km from Brisbane via a vehicular ferry, so hauling your rig and your mob across the bay ain’t such a big deal. The island’s east side enjoys fabulous surf breaks and great beach fishing, while its protected west side – facing onto Moreton Bay – offers calm water for swimming and snorkeling at the iconic Tangalooma wrecks. Here, dolphins come to the water’s edge nightly, delighting kids big and small. The beautiful Cape Moreton Lighthouse is the oldest lighthouse in Queensland and is an iconic colourful sandstone structure on the island’s northwest tip. You’ll need a capable 4WD, an offroad camper trailer and recovery gear – there are no sealed roads here and the sand can be very soft. 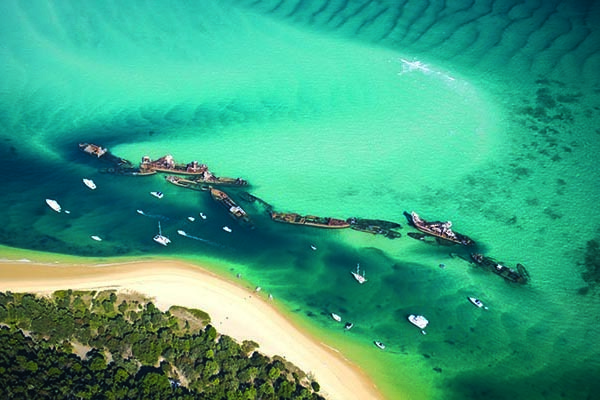 Indeed, Moreton Island is hailed as a mini Fraser, a fitting comparison given it’s the third largest sand island in the world at 38km long and 8km across at the widest point. 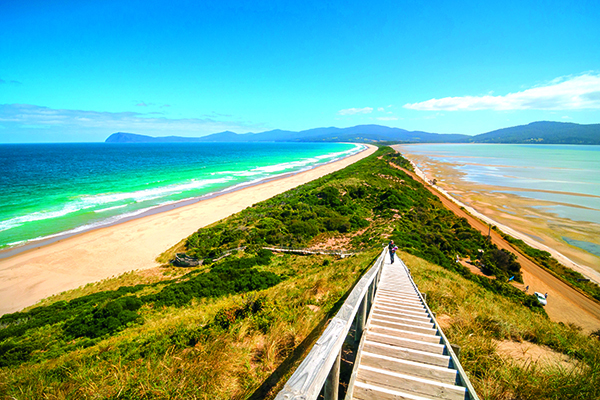 It’s home to the world’s highest coastal sand dune, the 280m-tall Mount Tempest. Needless to say, sand tobogganing is a popular pastime here, so set the kids loose in the neighbourhood to flog a couple of real estate signs before you go. Just kidding – we don’t condone that kind of ratbaggery here at Camper. Not officially, anyway. 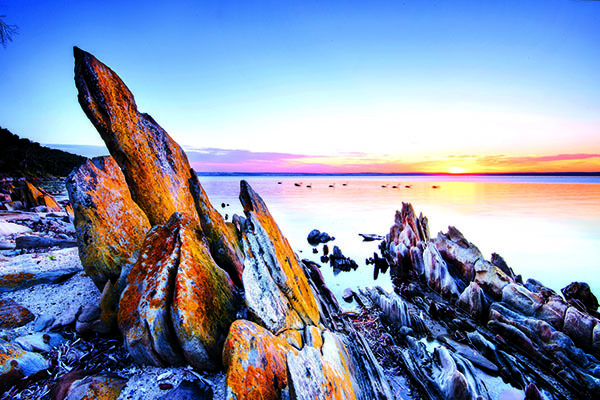 Kangaroo Island is a pristine wilderness area off the South Australian coast, just a stone’s throw from Adelaide yet seemingly a world away. Fringed by the turbulent Southern Ocean, its rugged 500km coastline protects world-class national parks overflowing with endemic plants and inquisitive wildlife. Visitors can walk amongst Australian sea lions at the aptly named Seal Bay, cruise alongside migrating southern right whales (between May and October), swim with wild dolphins, watch little penguins come ashore in the evenings and spot koalas in the towering eucalypts. 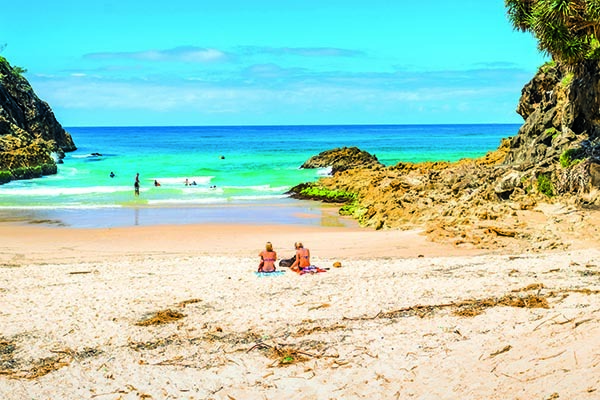 Known simply as ‘Straddie’ to locals, North Stradbroke Island is a coastal playground just 30 minutes by ferry from the southern suburbs of Brisbane. At Straddie you can get up close and personal with marine giants, explore beaches by 4WD and enjoy a cocktail at a bar, all in the same day. 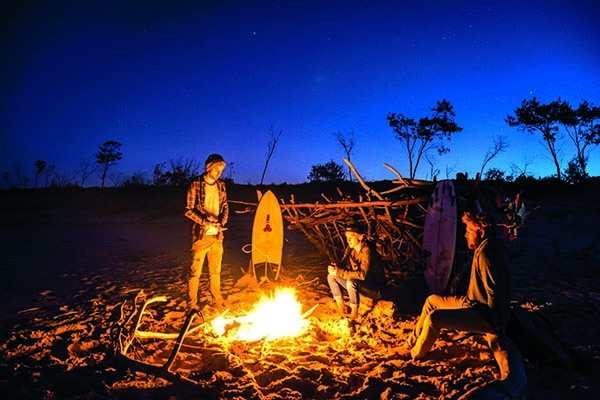 This wonderful mix of nature and culture, together with its accessibility, makes North Stradbroke Island an excellent option for campers looking to slip into island life with ease. There are options here for both on- and off-road adventure, so whatever your camper and tow vehicle set-up, Straddie has plenty to offer. Ferry cost with camper: There’s a bridge, and it’s free! Located an hour south of Hobart via road and ferry, Bruny is an accessible destination with excellent facilities for camper trailers. Choose from the seclusion of wilderness camping and offroad exploration in South Bruny National Park or opt for caravan park comfort at Captain Cook Holiday Park at Adventure Bay.